Volante motor MINI MINI Cooper S, Año: 2004 Código interno: 150813. Si no encuentra la versión que necesita nos esforzaremos en conseguirla. Nós podemos verificar isso. Wir können es überprüfen. Pasado para R55 R55LCI R56 R57 de R56LCI R57LCI R58 R59 R60 R61. Juego de piezas de embrague del volante. Transmisión: 6 velocidades. Desplazamiento: 1600cc. Cilindro: 4. VOLANTE MOTOR MINI MINI Cooper, Año: 2007. Referencia : 11227561765. Servicio de recogida gratuito con grúa. Nós podemos verificar isso. Wir können es überprüfen. Manufacturer Part Number 22A747. ¡El precio incluye un locktab gratis! Anno: 2004. Consigliamo dunque di consultare chi vi sostituirà il pezzo prima di aggiudicarvelo. Creato con il software gestionale Ready Pro. - COD contrassegno (Solo in italia - Selezionabile solo da PC). 11227561765 VOLANO CON CORONA DENTATA MINI COOPER R56 1.6 B 6M 88KW (2008) RICAMBIO USATO 0751571694. Anno: 2008. Consigliamo dunque di consultare chi vi sostituirà il pezzo prima di aggiudicarvelo. Creato con il software gestionale Ready Pro. De 21207575069 fueron encontrados en los coches siguientes R55 R56 R57 MINI Cooper S. MINI Cabrio R57 (11/2007-07/2010). MINI R56 (11/2005-07/2010). Origen: MINI Cooper S (R56). MINI Clubman R55 (10/2006-07/2010). 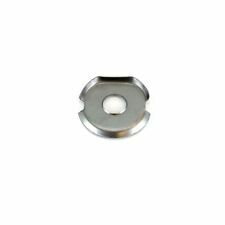 Classic Mini Flywheel Keyway For Verto Clutch. This sale is for ONE washer. From approx 1982 onwards. We are Minimine Ltd, from Stoke-on-Trent, we have been trading in Mini parts and accessories since the early 1990's. 21217522457 VOLANO BIMASSA CON CORONA DENTATA MINI COOPER ONE D 1.4 55KW D 3P 6M (2004) RICAMBIO USATO. Consigliamo dunque di consultare chi vi sostituirà il pezzo prima di aggiudicarvelo. Creato con il software gestionale Ready Pro. De 21208600209 fueron encontrados en los coches siguientes Mini Cooper F54 F55 F56 F57 F60. MINI Clubman F54 (12/2014 — 07/2018). F57 Cabrio MINI (11/2014 — 07/2018). MINI F56 (04/2013-07/2018). Origen: Mini Cooper (F56). De 11227557239 fueron encontrados en los coches siguientes Mini Cooper S R55 R56, R57. MINI R57 convertible (10/2007-07/2010). MINI convertible R57 LCI (04/2009-06/2015). MINI R56 (10/2005-08-2010). MPN 21207522457. Gama de productos: ÓRGANOS DEL MOTOR / VOLANTE. Creado con el software de administración < abarcan clase = "notranslate" > listo Pro. Cada problema es solucionable y estamos aquí para garantizar su satisfacción. NEW Dual Mass Flywheel suitable for the following: Mini R55 Clubman 07-10 - All Cooper D models with W16 engines Mini R56 Hatchback 06-10 - All One D & Cooper D models with W16 engines Supplied with NEW fixing bolts. 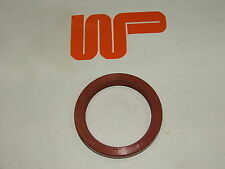 Genuine Sachs part with Mini part number 21207573382. Codice: 21207573382. Volano Bi-massa frizione D=228MM. ORIGINALE- MINI R55 Cooper D, R56 One D, Cooper D. MINI Clubman R55. Part Number - 88G508. Classic Mini Flywheel Keyway For Pre Verto Clutch. This sale is for ONE washer. 1959-1982 approx. We are Minimine Ltd, from Stoke-on-Trent, we have been trading in Mini parts and accessories since the early 1990's. De 21207595577 fueron encontrados en los coches siguientes Mini R55 R56 R57 R58 R59 R60 R61. R58 Coupé MINI (12/2010-05/2015). MINI convertible R57 LCI (04/2009-06/2015). MINI Paceman R61 (03/2012 – 09/2016). Part Manufacturer Number DAM5922. Manufacturer Part Number DAM5922. Perno de volante Mini clásico para todo embrague Verto. Estos tornillos de tipo Verto tienen una arandela de lengüeta soldada al perno. This is for the earlier A-Series gearbox (12G1128 12G1832 22G68 etc) with the small idle gear bearing, NOT the later A Series with the bigger idler gear bearing (DAM). FILE PICTURE- But you will get a correct clutch housing. Pasado para mini F54 F55 F56 F57 F60. Origen: Mini Cooper (F56). volante original. Dentro de una producción en serie, hay demasiados cambios, no podemos considerar todas las variaciones en esta descripción. MINI MINI (R56) Cooper D 82 06.2010 - 11.2013. MINI MINI (R56) Cooper SD 100 02.2011 - 11.2013. MINI MINI (R56) Cooper SD 105 02.2011 - 11.2013. MINI MINI (R56) One D 66 07.2010 - 11.2013. MINI MINI Cabriolet (R57) Cooper D 82 06.2010 -. This is for the later A Series gearbox. I CAN ADD PICTURES, MORE INFO, NOT A PROBLEM. IMPORTANT NOTE. MINI MINI (R50, R53) One D 55 06.2003 - 09.2006. MINI MINI (R50, R53) One D 65 06.2003 - 09.2006. soddisfatto o rimborsato. RESO GARANTITO. in 24h/48h a casa tua. N° fori fissaggio 6. Tutti i prodotti del kit dovranno essere nelle condizioni sopra descritte. Volante Motor Mini R50 Ref. 11227624121 Original y Nuevo. Bmw mini one r50 flywheel, removed off a 2004 car working fine. A VERY RARE 1275 EARLY. I DONT KNOW IF THIS WAS ORIGINALLY FROM A 1300 GT OR A MINI COOPER S. A SERIES ENGINE BLOCK INC CRANK SHAFT. BLOCK HAS 11 STUD HOLES SO WILL TAKE THE 11 STUD CYLINDER HEAD. OR WE CAN SEND THIS ON A PALLET TO THE UK MAINLAND ONLY. 21207532057 volante MINI COOPER S R53 < abarcan clase = notranslate ' > 1.6 125KW 3 p B m 6 piezas (2006) utilizan. MPN 21207532057. Cada problema es solucionable y estamos aquí para garantizar su satisfacción. Volante motor BMW MINI Cooper, Año: 2001. Referencia : 7535599, Observaciones: 7535599 700614. Código interno: 104720. Wir können es überprüfen. Nous pouvons le vérifier. 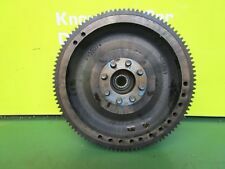 Bmw mini one r50 flywheel to suit getrag 5 speed gearbox, removed from a 2005 mini working fine. This is for the early inertia starters. Not a Verto flywheel, this for the inertia starter and long arm clutch leaver. This is all complete with the back plate and clutch. IMPORTANT NOTE. Clutches & Flywheels. We will always attempt to rectify the issue as fast as possible! We just want you and your car to be happy! You'll have the part ASAP. MINI 21207572843. MINI 7572843. 12 months warranty on all orders. New genuine LUK dual mass flywheel 415027410. MINI (R50, R53) 2003 Hatchback 1364ccm 75HP 55KW Diesel. MINI (R50, R53) 2003 Hatchback 1364ccm 88HP 65KW Diesel. Engine Version: for engines with dual-mass flywheel. MINI MINI COUNTRYMAN (R60) Cooper D 2010/06 - 0/ 82 112. MINI MINI COUNTRYMAN (R60) Cooper D ALL4 2010/06 - 0/ 82 112. MINI MINI COUNTRYMAN (R60) One D 2010/06 - 0/ 66 90. MINI MINI COUNTRYMAN (R60) Cooper SD ALL4 2011/02 - 0/ 100 136. Código interno: 104719. Volante motor BMW MINI Cooper S, Año: 2001. Referencia : 21217520446, Observaciones: W11b16a volante motor con 60mil km. Te garantizamos recambios originales para obtener la máxima seguridad y fiabilidad. Rover Mini clásico embrague verto, volante de inercia y engranaje de anillo. Verto type. 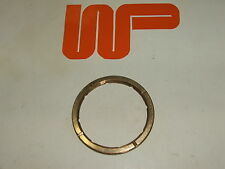 Classic mini flywheel assembly including clutch plate. 11227624121 VOLANTE CON MINI ONE (R50) 1.6 66KW 3P B 5M (2004) PIEZAS DE RECAMBIO. MPN 11227624121. Creado con el software de administración < abarcan clase = "notranslate" > listo Pro. Cada problema es solucionable y estamos aquí para garantizar su satisfacción. This does have the breather hole for a 1275 engine. This is for the earlier A-Series gearbox (12G1128 12G1832 22G68 etc) with the small idle gear bearing, NOT the later A Series with the bigger idler gear bearing (DAM). PART NUMBER: 2A3659. 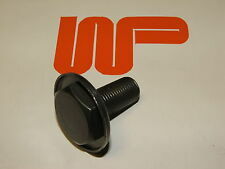 Classic Mini clutch flywheel bolt Used on diaphragm (non-verto) clutch flywheel. MINI MINI (R56) COOPER D —— 6 Marce. MINI MINI (R55) COOPER D —— 6 Marce. MINI MINI (R56) ONE D. VOLANO: 6366000005. KIT FRIZIONE: 3000951359. oppure al 3201958365.